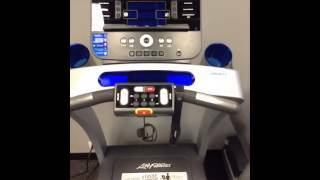 Get the best price for the Life Fitness T5 Treadmill with Go Console by comparing prices at Fitness Savvy. We searched online and discovered 21 online user reviews of this product, scoring it an incredible 4.8 out of 5. Customers were pleased with the flexible deck, stability, large running surface and quietness. 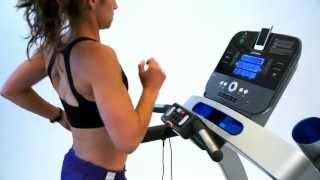 Designed for dedicated runners and fitness enthusiasts seeking a high-quality workout, the Life Fitness T5 Treadmill is packed with custom features and an enhanced user interface. This product is also available with the superior Track Connect console. 3 surface settings, thanks to the FlexDeck cushioning with Select Shock Absorption system. When looking to purchase this product, you’ll be able to take it home with one of two display consoles. They are the Go Console and Track Connect Console. To find out more about this option, check out the Go Console User Manual. Race, Marathon and Cool Down/Warm Up modes. To find out more about this option, check out the Track Connect Console Manual. Track Plus Console: Track+ Console seems to be discontinued. Maintenance advice (such as which lubricant to use). Life Fitness T3 or T5? The main differences between the Life Fitness T3 and T5 are that the T5 has a larger running area (153 x 56 cm vs. 153 x 51 cm), 3 cushioning options for the deck (rather than 2), and can accommodate larger users (182kg/400lbs vs 159kg/300lbs). 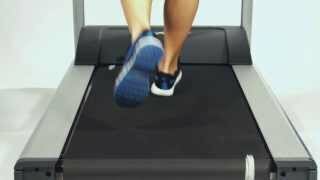 When purchasing brand new, we found the Life Fitness T5 Treadmill available from Amazon, eBay, Fitness Superstore and John Lewis. If looking for a used T5, we suggest checking out Gumtree.